So, September is here. We cannot believe where this summer went! 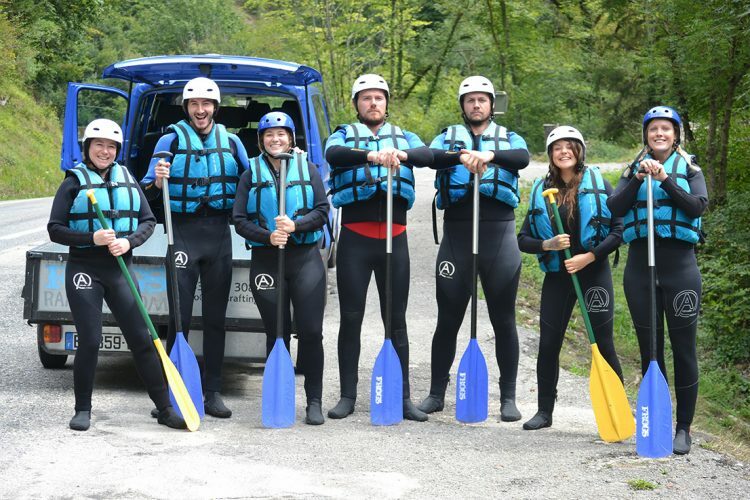 So The Hideout Hostel and Cafe Chaud team went white water rafting for the end of summer staff party. The drive down to the Frogs Rafting centre is something special in its own right. The road winds down to Thonon, and Lac Leman (Lake Geneva), through the breathtaking Gorges with the River Dranse flowing right next to the road. Glimpses of some of the rapids we were about to go down got us all very excited! We arrived at The Frogs HQ, where we got kitted up in some super thick wetsuits and helmets before being taken to the starting point. After a quick (but thorough) safety briefing we were off. With the threat of being the first person out of the boat having to drink a shot of chilli vodka, everyone was holding on for dear life! 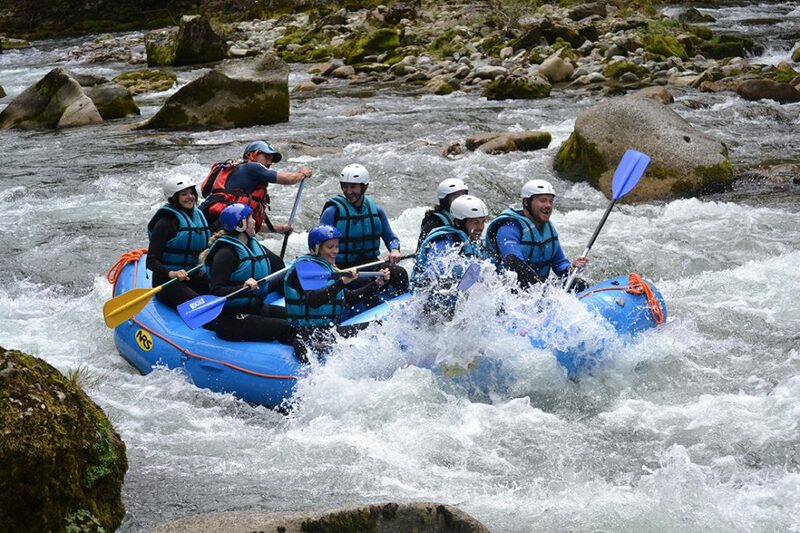 The trip meanders its way through immense rocks which are characteristic of the River Dranse, and create some super fun white water. This included going through tight gaps in the vast boulders, down some waterfalls and also going down backwards at our surprise at some points. Along the way, there were a couple of cliff drops which were great fun. Backflipping and screaming our way off the cliffs, it was such a rush and got the adrenaline pumping for more white water action. Back on the raft, we then ended the trip at a slightly more mellow part of the river where we all go out of the boat and just floated down in our life jackets. A fantastic experience, so many laughs, and a massive thank you to Frogs Rafting and to Cafe Chaud and Hideout Hostel for taking us. The day ended with a BBQ and Mojitos. Thank you summer!